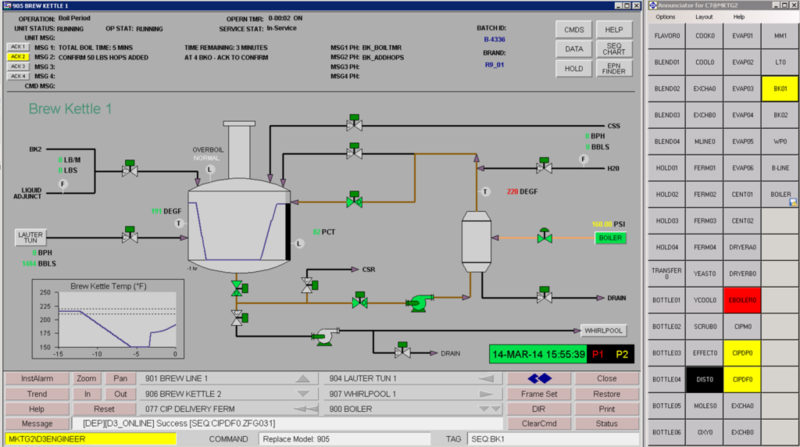 The TotalVision® Process Human Machine Interface (HMI) displays real time continuous and batch process information from the D/3 DCS with an extensive and customizable library of High Performance Smart Graphical Objects. 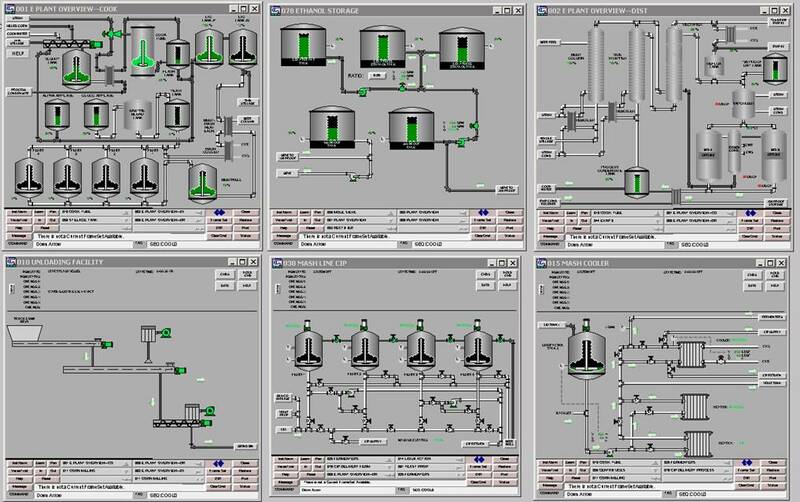 An operator can control any process element, enter information, interact with sequence programs, or access SOPs, maintenance records, web pages and other media via these graphical objects in a vector-based visual representation of the process. TotalVision HMI keeps all graphics current with automatic updates of all operator consoles through global library objects. Control of object attributes including size, position, fill color, edge color, rotation, visibility, etc. TotalWebVision uses common Web browsers and the customer’s intranet to display dynamic TotalVision® graphics. Combining this functionality with TotalVision’s ability to display data from multiple plant sites, it provides a view of critical enterprise information from anywhere in the world. TotalWebVision is an ActiveX Control that enables you to display TotalVision graphics inside Web browsers, desktop TotalWebVision™applications or development tools that are compliant with Microsoft’s Component Object Model (COM) standards and OLE (Object Linking and Embedding) Automation technology. In an intranet setting, TotalWebVision makes it easy to monitor the operation of a single plant or all plants worldwide. 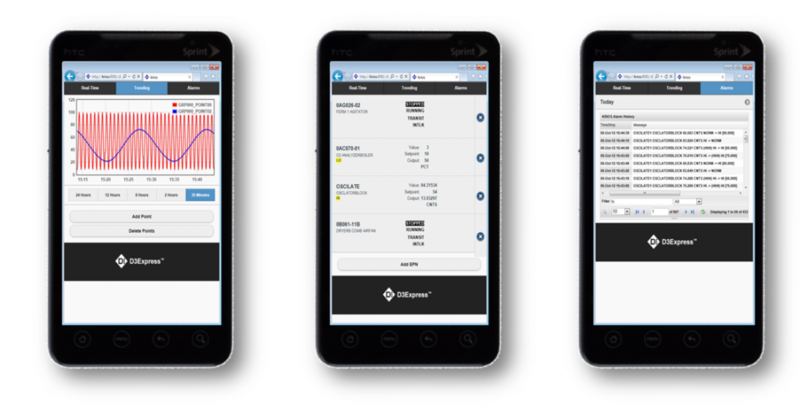 Instead of preparing time-consuming reports that contain only historical data, utilize the real-time information in your D/3 control systems and your TotalVision graphics to create dynamically updated views of production information, equipment utilization, critical plant alarms, and problem areas. 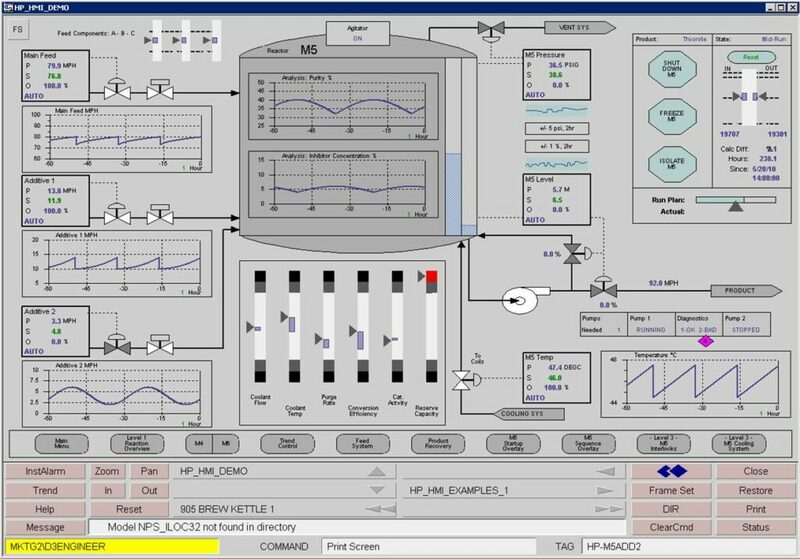 ProcessVision allows users to easily and securely monitor, analyze, and adjust production processes running on the D/3® Distributed Control System. 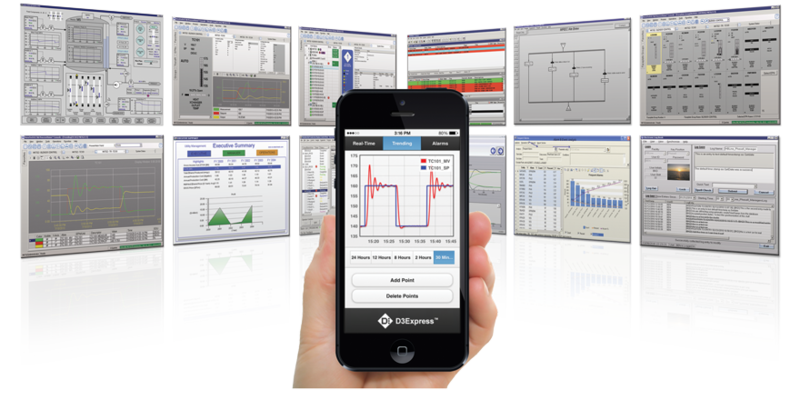 ProcessVision provides operators, engineering staff, and plant managers with intuitive navigation and diagnostic tools to ensure efficient and cost-effective management of plant operations. Operators can get up to speed quickly with a library of video tutorials and improved search and auto-complete functions. Its browser-like navigation includes tabs, favorites, sessions, and automatic print scheduling capability. 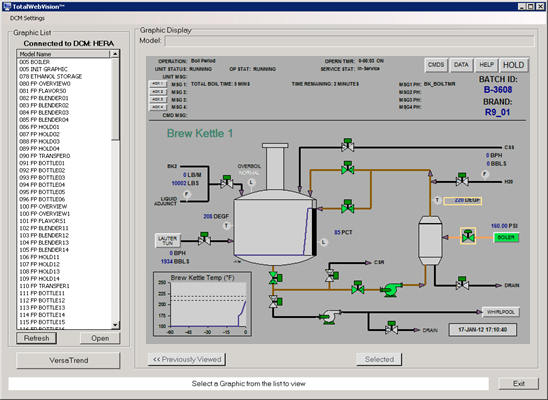 ProcessVision automatically creates diagnostic displays such as Single Loop, Loop Maintenance, Recipe, Product/Batch Monitoring, and System Status displays. 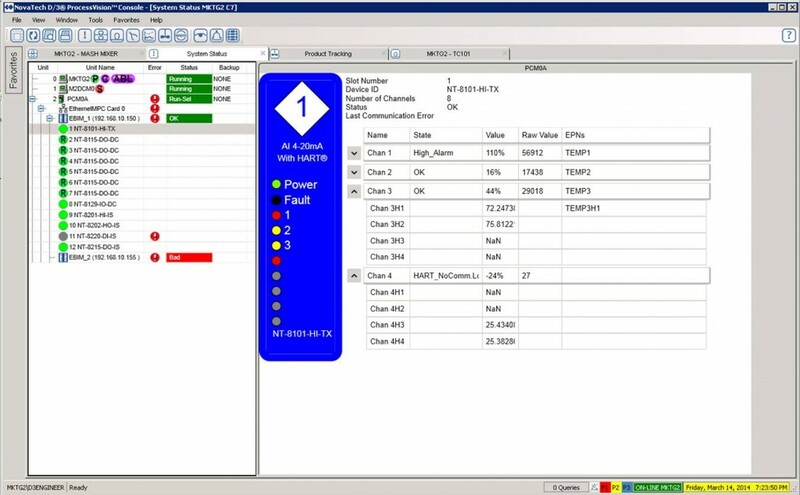 The System Status display effortlessly drills down from the entire D/3 System to individual I/O channels, allowing users to quickly determine the real-time status of each I/O module, channels within a module, input values of each channel, what tags are assigned to a channel, and which channels are unused. Engineering staff can take advantage of global synchronization of tag modifications, better diagnostics for event analysis and recovery, and enjoy no-hassle, easy to configure displays. Plant Managers will appreciate the enhanced cyber security, reduced off-spec product, easier knowledge transfer between senior and junior operators, higher equipment utilization, the ability to run ProcessVision in parallel with previous consoles, and the responsive 24/7 support of NovaTech personnel. Design screens for any aspect ratio or monitor configuration. Incorporate bitmap images to present information effectively. With the release of D/3 version 14.1, NovaTech proudly carries forward the tradition of delivering the latest technologies while preserving your investment in applications software, system hardware, and I/O subsystems. A brief overview of NovaTech’s D/3 DCS ProcessVision console, outlining the new features designed to deliver a modern yet familiar user experience that will delight new users and seasoned D/3 veterans alike. An introduction to the D3Express™ mobile application, providing read-only access from anywhere via your smartphone or tablet (with no additional licensing). This webinar covers ProcessVision, the state-of-the-art console that enhances the ability to easily and securely monitor, analyze, and adjust production processes running on the D/3® Distributed Control System. The ProcessVision Console is the new interface to the NovaTech D/3 Distributed Control System (DCS) that provides a wealth of system data and intuitive Windows navigation, right out of the box.